It’s World Whisky Day. Or really the end of it as I’m posting this blog after my Tullamore Town Whiskey Walk event. Conveniently this leads to my musical interlude. The journey began last year when I first became aware of World Whisky Day and thought – ‘Now I should do something for that day’. This led to me scrambling around finding a printer open on Friday night to laminate my hastily prepared posters – writing out a basic script for the day and posting some last minute social media posts. My choice of venue happened during the course of the year. Doing blogs on Whiskey Bars meant I eventually found some much closer to home than I had previously known. Couple this with an award winning whiskey visitors attraction in the shape of Tullarmore DEW Visitors Centre – some whiskey art – architecture and history and the die was set. 2pm on World Whisky Day found me at Bury Quay anxiously waiting for people to turn up. We were greeted warmly by Shane who invited us in to a complimentary showing of the Tullamore DEW introductory video in the auditorium along with a glass of Tullamore DEW Original to get the day started! Suitably warmed up despite the rather showery weather outside we made the short walk along the Grand Canal – which reached Tullamore in 1798 and aided the economic success of the brewing and distilling industry of the town – to our first whiskey bar of the day – Hugh Lynch’s. A hard to find discontinued expression was chosen as drink of choice in this bar to demonstrate the fact good whiskey bars operate almost as whiskey libraries in that they stock many a bottle both old – new and potentially exclusive. Tullamore DEW’s Black 43 went down well with the gathered clan of whiskey friends. It also demonstrated what an additional 11 months in sherry cask can add to a whiskey. Onwards into town we went. Pausing to view the remnants of the original B. Daly 1829 distillery along with the wonderfully restored gates and Master Distillers Offices across the road. Bob Smyths pub sits handily beside the Tullamore Distillery gates. It was once owned by Michael Molloy – who established the distillery – so despite not being a whiskey bar – we popped in for a glass of Paddy to acknowledge the brands sale to Sazerac. Our next stop proved rather more contentious. Back in 1910 the large brewing, malting, bottling and general wholesellers of P&H Egan built what is now The Bridge House Hotel. Descendants of that family released Egan’s Irish Whiskey a few years ago but sadly it isn’t yet stocked at the bar. We handed a short plea to the management of the hotel to please remedy this situation so Egan’s Irish Whiskey can be enjoyed in it’s true home. By a democratic vote the whiskey walk participants unanimously agreed to bypass this venue in favour of somewhere that did serve Egan’s. Thankfully we didn’t have to walk far as one bar that does have Egan’s Irish Whiskey is the lovely Brewery Tap on Bridge Street where landlord Paul offered us a discount on the day to enjoy a glass of the lovely rich 10 year old single malt and toast to the future success of the Egan family. One inquisitive member of the party suggested Egan’s was just a similar bottling to Tyrconnell – also a single malt – so a glass duly arrived for a taste comparison. Another unanimous decision was reached. Tyrconnell is a smoother slightly more tasty whiskey than Egan’s. It must be stated however that both these expressions were far superiour to the blends we’d been having up to this point. Back out on the streets our numbers began to diminish due to time constraints. A visit to the whiskey sculpture Pot Stills in Market Square was abandoned. Commissioned by Tullamore Town Council in recognition of the role the distilling trade had in prospering the town. The 3 pots were sculptor Eileen MacDonagh’s interpretation of the gleaming copper stills that currently produce the distillate which goes on to make whiskey in the new Tullamore Distillery on the outskirts of town as well as those at Kilbeggan Distillery only a 10 minute drive from here. Market Square is also the site of a short-lived distillery built by Mr Manley which closed early in the 1800’s. However there are many fine building which previously housed the large malting trade Tullamore was famous for. Malt left Tullamore by barge to supply many a famous brewery and distillery in Dublin. These malt stores are now apartments’ shops and offices but you can imagine the hive of industry that once frequented the canal harbour in times gone. Our last port of call was Kelly’s Bar just down the road from the Visitors Centre where we began. Kelly’s have a wide and varied range of fine whiskeys on offer so various expressions were tasted by several fellow whiskey walkers and opinions exchanged as to the merits – or lack off depending to individual taste – of the drams tried. Our sole Scotch of the day – in recognition that Tullamore DEW is now owned by a Scottish firm – came via a 16 year old Lagavulin. Very tasty it was too. Eugene the landlord had actually got this whisky in for one of his regular customers. Now that’s an example of a fine whiskey bar! My thanks go out to all the fellow whiskey walkers who joined me in celebrating World Whisky Day. The publicans, bar staff and the Tullamore DEW Visitors Centre crew who made today a reality in giving generously of their time – and some whiskey too! Thanks also to the Tullamore Tribune who publicised the event and sent down a reporter to take pictures and report on the days proceedings. My highlight of the day? I like to think I have my finger on the pulse of Irish Whiskey – but every now and then a curve ball hits me just to let me know that in fact – I know nothing! Islay is revered by whisky drinkers around the world as the holy grail of good quality whisky – generally of the peated kind that I find hard to get a handle on. Laphroig, Lagavulin, Ardbeg, Caol Ila, Bowmore, – do you want more? Port Charlotte, Kilchoman, Bruichladdich, Gartbreck, Bunnahabhain, Port Ellen, if your taste buds haven’t exploded with the mere thought of tasting only a few of these esteemed distilleries expressions – then you’re on the wrong blog. But what has all this got to do with Ireland? 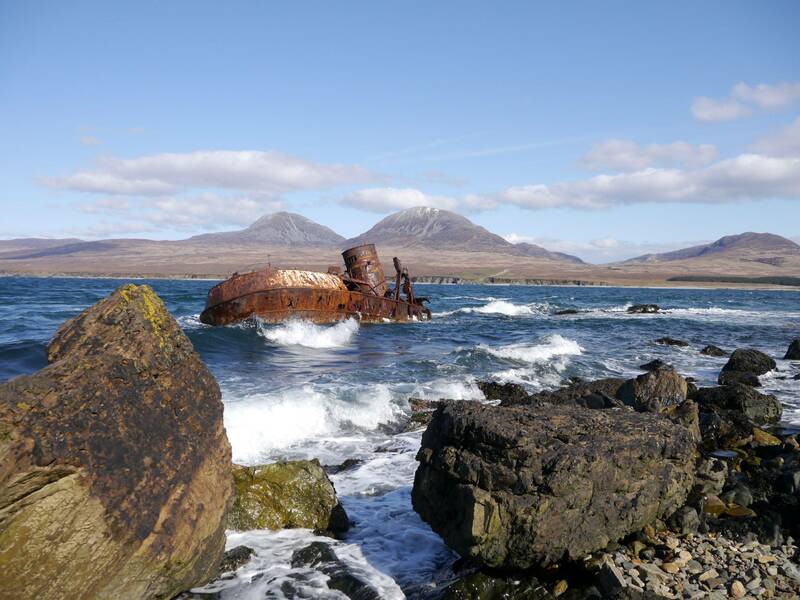 Apart from the fact that Islay is visible from the Antrim coast – and depending on which way the wind blows – pleasant smells may also be experienced. 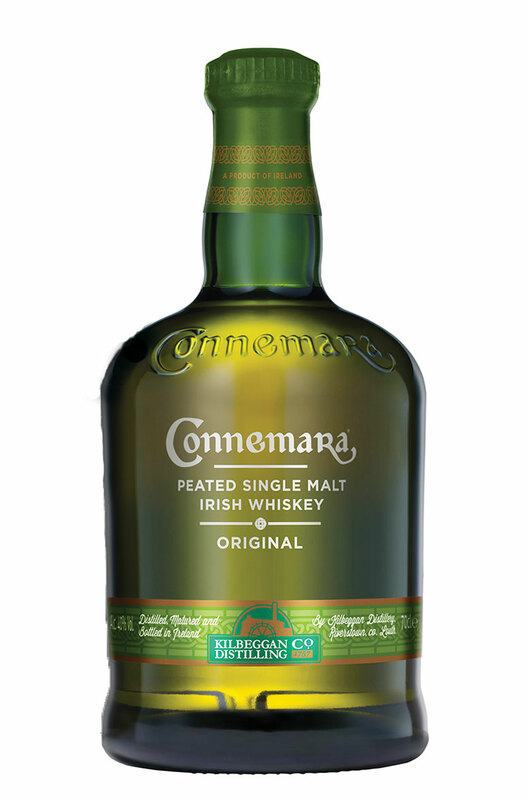 And in Connemara, Ireland has it’s own award winning peated whiskey to challenge those of Islay. Would it excite you if I said the former CEO of Bruichladdich was opening a distillery in Waterford? 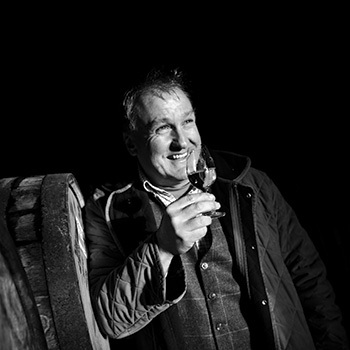 After Mark Reynier’s successful turn around in the fortunes of that Islay distillery – the sale of Bruichladdich to Remy Cointreau – and the continued rise of whisky sales – is it any wonder he was on the lookout for a new venture? 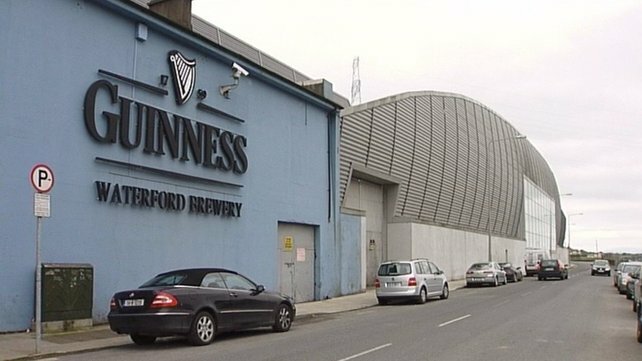 Following on from the Scottish acquisition of Tullamore DEW – Waterford now seems to be the happy recipient of the rise in Scottish whisky popularity. I can’t wait to taste the results!